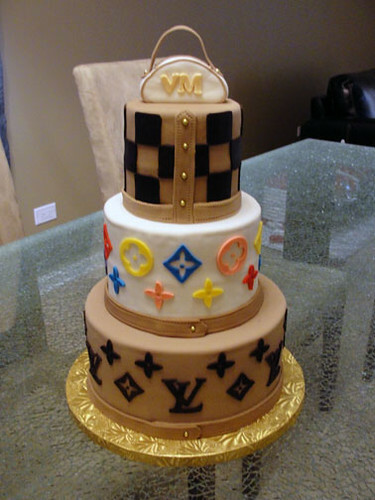 LV Cake made for a Fashionista! 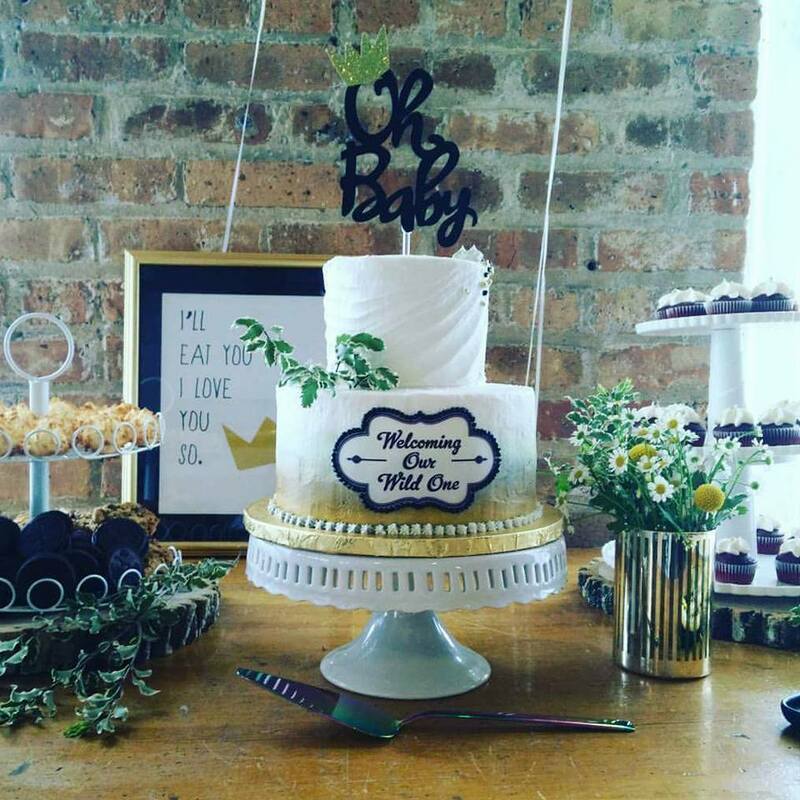 The lovely three levels were a series of 8 inch, 6 inch, and 4 inch round cakes stacked together for a modern appeal. Victoria jumped on my Mexican Chocolate cake recipe filled with a sweet and spicy cinnamon buttercream. 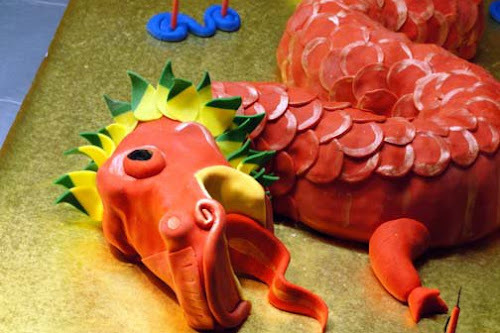 Two layers were torted and filled to create a 4 inch high level, and then covered in the same yummy buttercream. I covered the bottom and top layers in a light caramel color fondant, while the middle layer is smoothed in a blanket of pure white fondant. With the three levels of canvas completed, it's time for the fun stuff! Each level represented one of the three coveted signature LV patterns. The bottom modeled the timeless LV monogram that every girl loves. Each individual piece was cut out of dark chocolate fondant, which taste like a Tootsie Roll, and attached on top of the light caramel constrast. 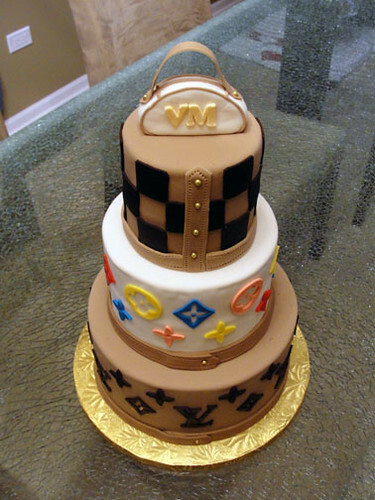 The middle level adorned the fun and young Multicolored LV monogram, giving the cake a bit of splash of color. The top level was then decorated in the fashionably unisex Damier checker pattern that everyone loves. This lovely cake could not be complete without the finishing details of stitching along the ribbons of leather, and the shine of gold dragees. A mini purse adorned with Victoria's initials finish of the top of this birthday cake. What a fab birthday!